I'm here in Beijing for Oppo's launch event for the new N1 smartphone, and last night I had a chance to spend some time with the up-and-coming Chinese OEM's super-sized flagship, as well as learn a bit more about it from a couple of Oppo's engineers and PR team. As far as basic impressions, the N1 does feel like quite a premium phone. 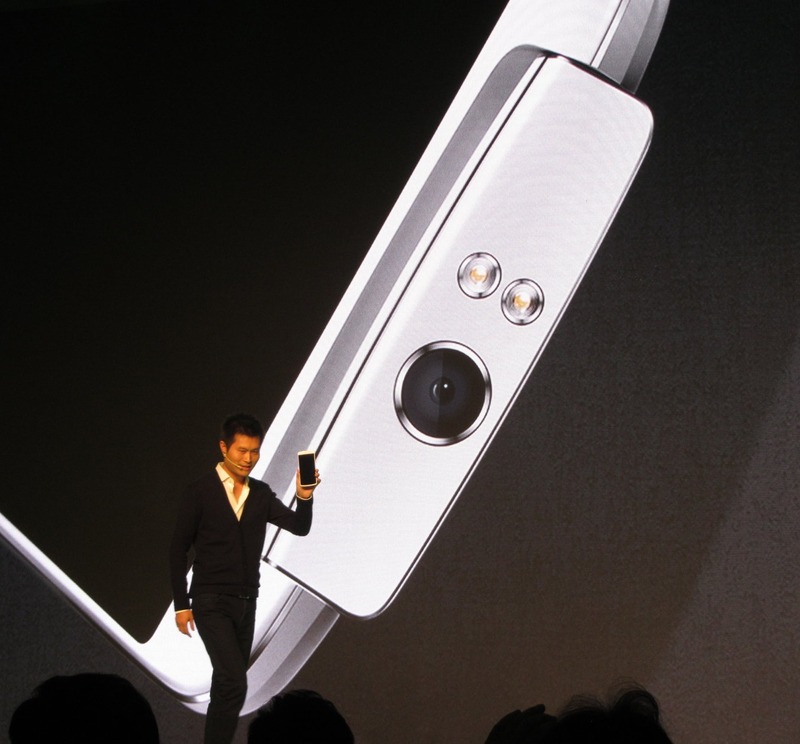 It has a similar painted plastic outer shell to the Find 5, while the internal structure of the phone is actually supported by an anodized aluminum frame. This does mean, like the Find 5, the N1 is rather hefty, tipping the scales at around 213g, making it over 40g heavier than the Galaxy Note 3, which does have a slightly smaller 5.7" display. It is also 20mm taller and 3mm wider than the Note 3, which does mean most people will probably have some difficulty one-handing certain tasks on the device. And to discuss briefly that 5.9" display, 1080p LCD panel (manufactured by JDI) was bright, vivid, and had excellent viewing angles. Capacitive navigation keys, a rather oddly small and recessed power button / volume rocker, and a microUSB port, speaker, and headphone jack along the bottom of the N1 round out the standard items you'll notice on the chassis. This, of course, leads us to the rather non-standard features adorning the N1: its rotating camera module and rear touchpad. The rotating camera seems to have a fairly solid mechanism, and does not at all seem like a cheap or hasty affair. Oppo went on ad nauseam about this part of the N1 during the press conference, though the response from the audience here in China seemed to warrant that - the crowd went absolutely wild for high-quality selfies and discreet 'admirer' (read: creeper-ish) shots that the N1's camera should excel at. The camera rotates as far as it can without causing part of the phone to enter the frame of the photo, and even automatically launches the camera app if you flip the module to a fully front-facing position. Is this a gimmick, or a genuinely good idea? I think that depends largely on how good a camera this really is (it is a newer version of Sony's Exmor RS sensor, the Pro level) and if that rotating mechanism holds up to the stresses of time (Oppo promises it can live through 100,000 full rotations). While it does detract from the aesthetics of the N1 a bit, I certainly found myself a bit giddy at the possibilities a rotating camera allows, especially for shooting video on a smartphone, which is always something of an awkward affair. That all said, I also don't think such a feature is a reason to go run out and buy one of these phones immediately. 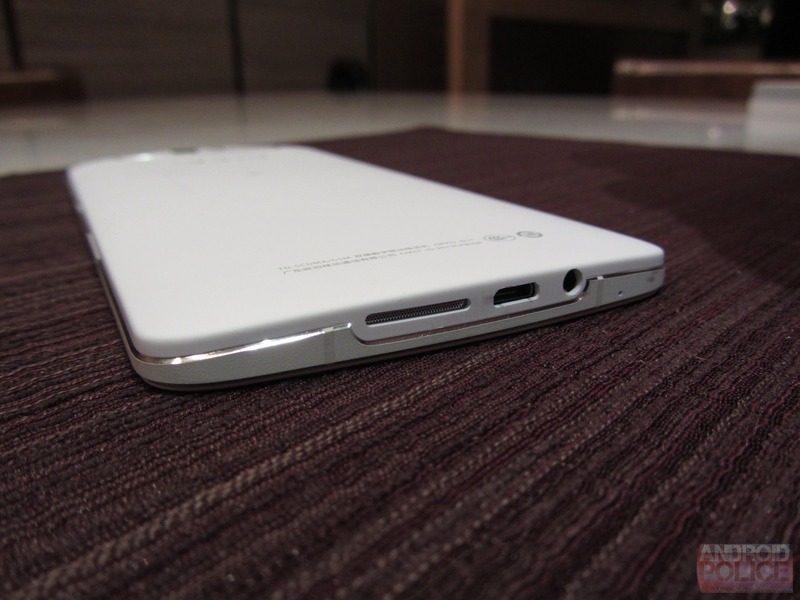 You can see the tocuhpad's very faint outlining on the rear of the phone here. The rear touchpad didn't win many points with me. On a phone of this size and weight, holding the N1 with one hand is awkward enough, and while Oppo has absolutely attempted to make the touchpad as useful as possible, I'd probably just turn it off (which is possible). The thing I noticed immediately is that, given the way I hold such a large phone, my pointer finger would constantly brush up against the touchpad area and cause a small haptic feedback response, which got annoying pretty quickly. The touchpad can be used for a variety of purposes, though - swiping left to right to move through homescreens, up and down to scroll, and in the camera app, shoot photos by tapping and holding on the center of the touchpad area. All of these features seem to work well enough, and while I did have a bit of an issue getting it to take a photo because I could not feel out the touchpad easily, with time I imagine your finger will develop some muscle memory as to its location. I didn't think to ask if full cursor-based control was possible, unfortunately. 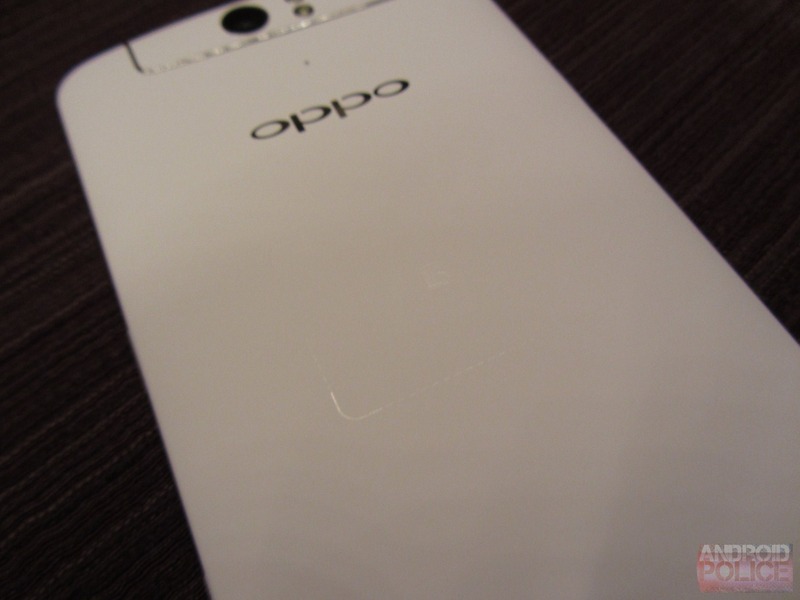 Oppo has built in a number of gesture control options to the N1 - swipe up or down with three fingers to take a screenshot, pinch with three fingers (awkward!) to launch the camera, or pull down from the top left of the screen to launch the drawing gesture UI (something I've never seen any utility in, personally). Color UI (now ColorOS) itself has received a visual refresh as compared to the version on the Find 5, but I didn't have time to get particularly in-depth with the N1's software. I did hear that ColorOS will have Google Apps in countries where they are available, and that Oppo is actually hoping (this is not 100% confirmed) to ship all N1 models with a fully flashable CM build already on the device. Just launch the N1 in recovery mode on your first boot and flash the CM build, and you'll be good to go. 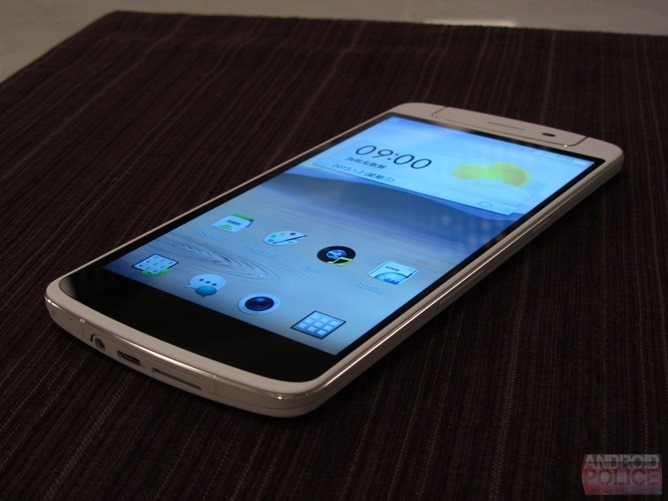 We did not get a chance to use an N1 with CyanogenMod installed, as apparently it's not ready just yet. 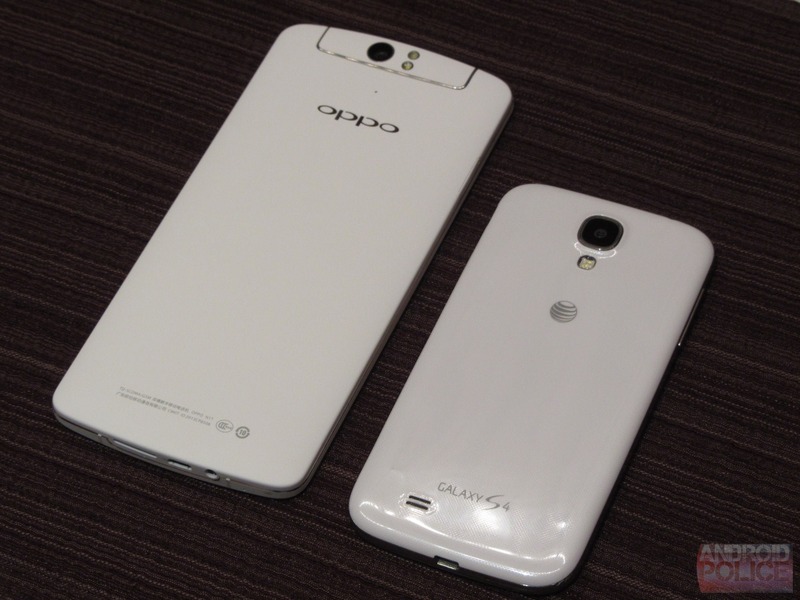 Next to a Galaxy S4, the N1's size is definitely a bit intimidating. My overall impression? The N1 is certainly a very interesting phone, though its size and weight definitely puts it in a niche class alongside phones like the Xperia Z Ultra and Galaxy Mega 6.3, phones so large that even big-phone enthusiasts like myself have a hard time pocketing them. We'll have a chance to spend a lot more time with the N1 closer to its release, and a full review is something you can expect at the end of next month. 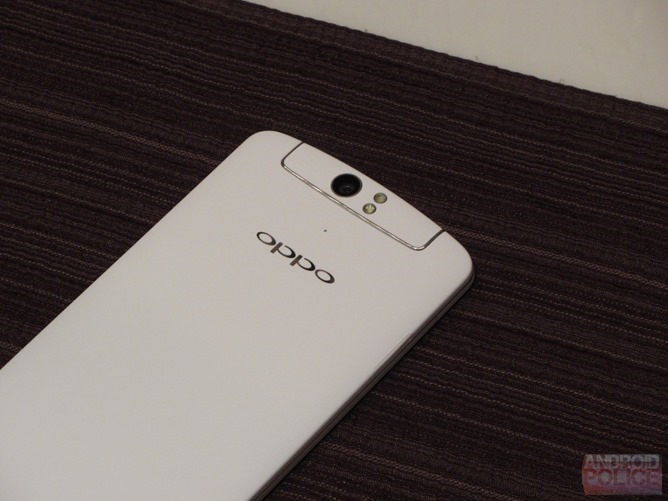 Oh, one last thing - Oppo also had the O-Click dongle on hand to play with, which is basically an HTC Fetch but much prettier (I definitely wouldn't mind this thing being on my keychain). The O-Click is fully configurable on the host device, so the beeping feature (it will beep loudly if your phone goes more than 5 meters from it, and your phone will do the same) can be disabled and tweaked to your liking. 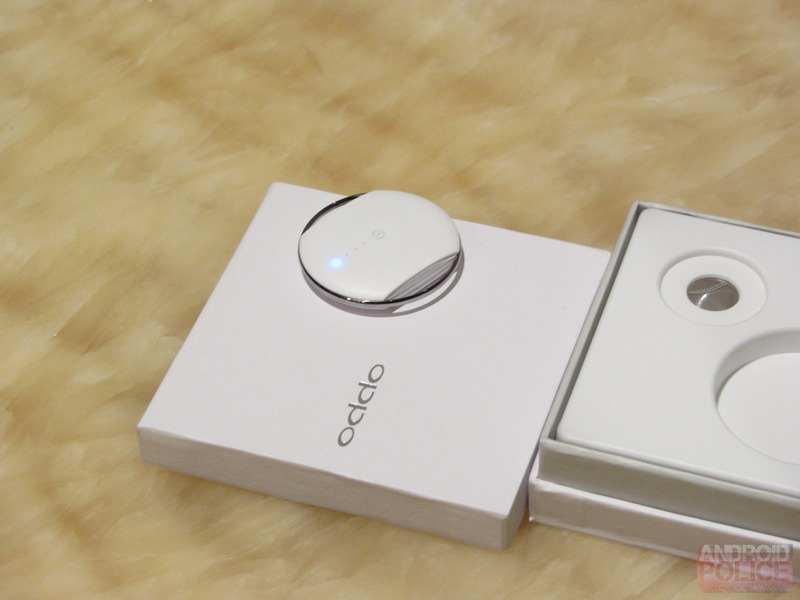 The O-Click can also take photos as a remote shutter, and with the camera app launched, Oppo estimates the latency to be around .15 seconds. 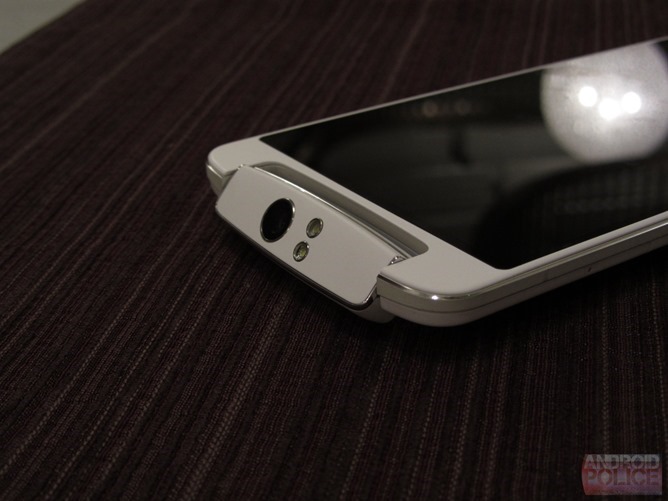 It does not appear the O-Click will ship with the N1, but rather will be sold as a separate accessory.